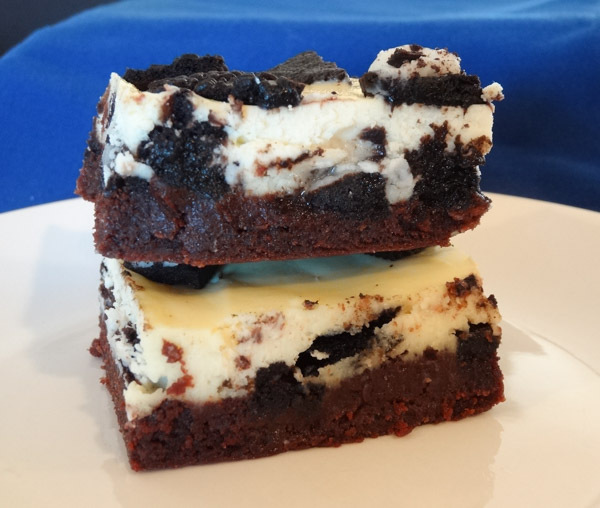 Oreo Cheesecake Brownies start off with a rich, fudgy brownie followed by a generous layer of chopped Oreo Cookies. 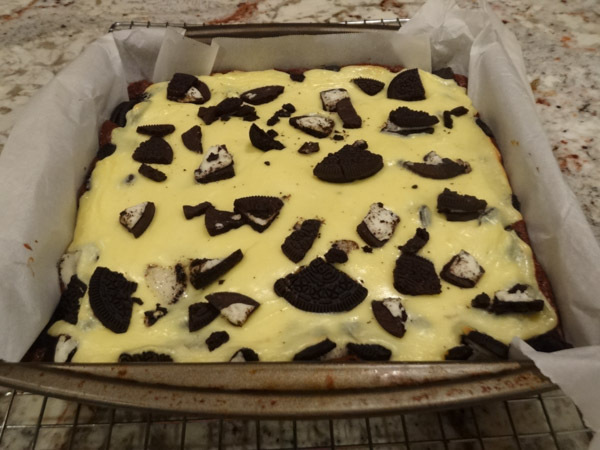 A creamy cheesecake layer is then added and is topped with more Oreo cookies. A great dessert for chocolate lovers. 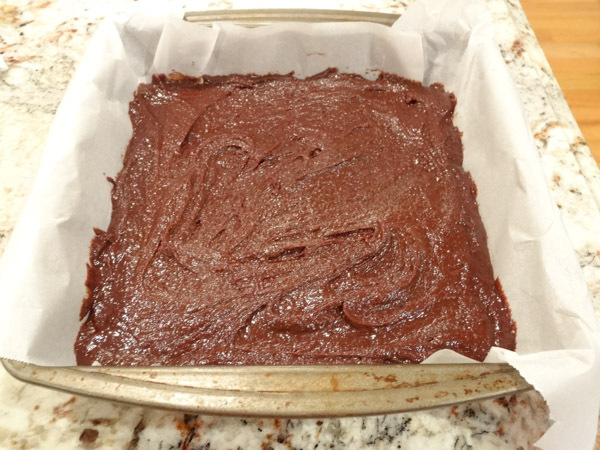 Do you like fudgy brownies? Do you like cheesecake? If you answered yes, you have got to try this recipe. 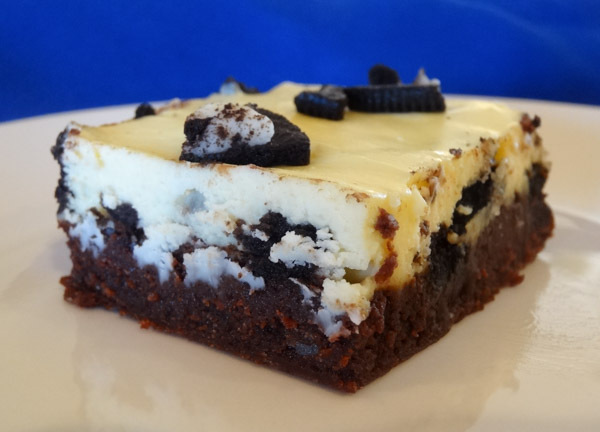 The combination of Oreo cookies, brownie, and cheesecake blend together so well in this dessert and taste fantastic. This dessert takes less than 15 minutes to prepare and less than 40 minutes to bake. There is no need to spend a large amount of time in the kitchen for this dessert. Line 9 x 9 inch baking dish with parchment paper or aluminum foil. Set aside. In large bowl, melt butter and semisweet chocolate chips in microwave in thirty second increments, stirring inbetween until chocolate has completely melted. Add both sugars to bowl and stir until well combined. Add in eggs and vanilla extract. Stir until well blended. Add in flour and cocoa. Stir until combined. Batter will be slightly thick and grainy. Spread batter into prepared pan. Chop up 12 Oreo cookies and place on top of brownie batter. Add in egg and vanilla extract. Blend until smooth and creamy. Spread cream cheese filling on top of cookie layer, starting in middle and spreading outward. Don’t spread all the way to the edge of pan. Leave about 1/2 inch around perimeter. Chop up 4 to 6 more Oreo cookies and spread on top of cream cheese layer. Bake at 325 degrees F for 35 to 40 minutes. Center of cheesecake filling should be mostly set and edges of cheesecake should be slightly golden brown. Toothpick inserted into center should come out with just a few brownie crumbs. Remove pan to wire rack to cool for approx. 30 minutes and then refrigerate to chill for at least 3 to 4 hours. Tip: I recommend setting dessert out for at least 30 minutes prior to serving. 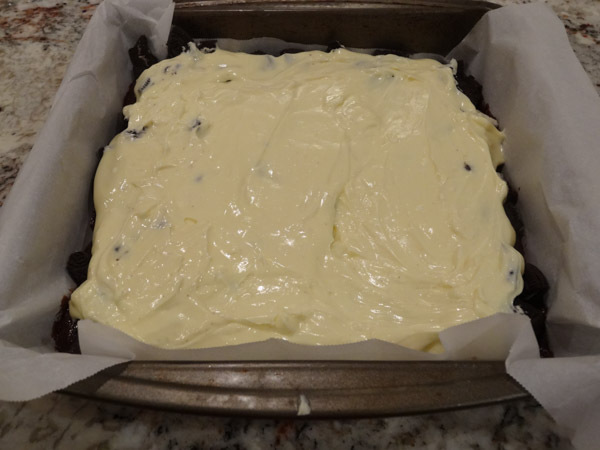 This gives the brownie a chance to soften and allows for the flavors of the dessert to really compliment each other. 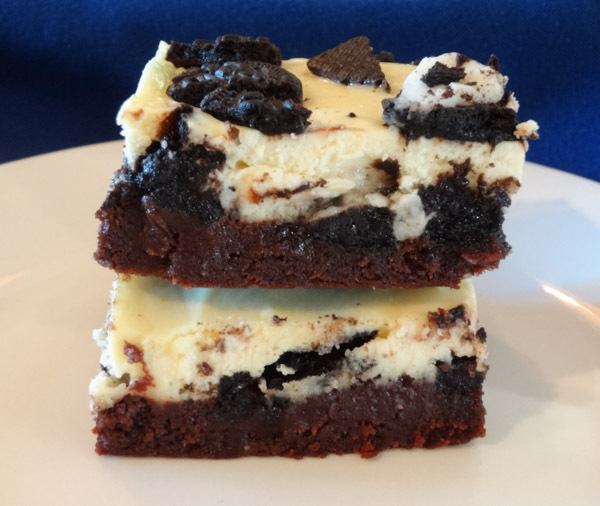 Oreo Cheesecake Brownies consist of a rich, fudgy brownie topped with a layer of chopped Oreos, a creamy cheesecake layer and then more Oreo cookies. A great dessert for chocolate lovers. Line 9 x 9 inch baking dish with parchment paper or aluminum foil. Preheat oven to 325 degrees F.
2. Place butter and semisweet chocolate chips in large bowl. Heat in microwave for thirty seconds. Stir and repeat heating in 30 second increments until chocolate has melted. 3. Add in both sugars. Stir until well combined. Add in eggs and vanilla extract. Stir until well blended. 4. Add in flour and cocoa powder. Stir with large spoon for approx. 1 minute and then spread batter into prepared pan. 5. 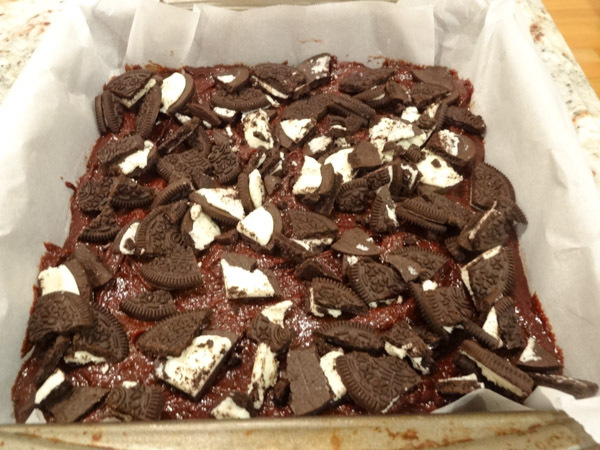 Spread chopped Oreo cookies evenly on top of brownie batter. In large bowl, add in cream cheese and sugar. Blend with electric mixer on medium speed for 2 minutes. 2. Add egg and vanilla extract. Blend until smooth and creamy. 3. Pour cheesecake layer into middle of pan on top of chopped cookies and gently spread outward stopping approx. 1/2 inch before reaching edge of pan. 4. Add remaining chopped cookies to top of cheesecake filling. 5. Bake at 325 degrees F for 35 to 40 minutes. Center of cheesecake filling should be set. Toothpick inserted into center should come out with just a few moist crumbs. 6. Remove pan to wire rack to cool for approx. 30 minutes. Cover and refrigerate for at least 3 to 4 hours. 7. Cut into squares and enjoy.